Be sure and check out our reflection for the week. I was reading the Psalm from this week and I realized it wasn’t tracking with me. At this point in time, I really don’t have a great deal of stress. The stress I do have really doesn’t even warrant a lament, much less the powerful language contained in this Psalm. But I have friends who do. I could almost hear their voices as I read the Psalmist’s cries to God. If you find yourself here this week, God’s message for you is: Just hang on one more day. If not, going on to Galatians becomes really helpful. This text reminds me when I am in this place, I have a little more capacity to give. I have extra energy to take on some of other people’s burdens. Most of the time when we get to a place without lament, we do everything we can to stay there. We seek the status quo and avoid anything that might bring any kind of difficulty to life. Paul tells us to put our energies elsewhere. My lack of lament should not make me feel guilty for an absence difficulty, but it can serve as a reminder to enter in to other’s pain. Not to fix or correct or change, but to simply help bear the load. I recently read a study done few decades ago when it was still okay to experiment with monkeys on fear and stress. They would put a monkey in a cage, scare it to death, and then check brain activity and the chemicals in the body related to stress. 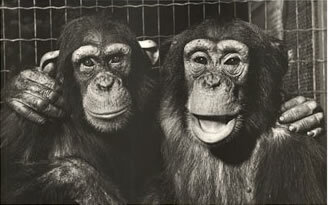 The next day they would repeat the experiment but they would put another monkey in the cage to see what happened. Same cage, same scare tactics, everything the same except for the presence of the monkey’s pal. When they tested the chemicals again, they found the stress levels cut in half. It is as if the presence of the other monkey actually re-distributed the stress and fear. They shared it. The results of this are the monkey can now think more clearly. Instead of the rational part of the brain being completely bypassed by fight or flight reactions, the monkey can now access the rational part and begin to make decisions. How can we escape? What can we do about this? The presence of the friend does not take away the causes of the stress or take the fear away all together, it simply distributes it and allows the monkey to function. Maybe you have heard the phrase at a wedding: Your difficulties will be halved and your joys doubled. At least on the difficulty part, this is physiologically true. It is really quite beautiful. I think this is what Galatians is pointing us toward. And it even takes it a step further. As we enter into other people’s pain and suffering, we often assume we are the white knight coming to rescue the lowly peasant in distress. But what Paul is suggesting here is walking alongside someone, not being in a high position and looking down. We are simply coming alongside and sharing the burden. It is easy in these situations to pat ourselves on the back and think about how we have it all together while this poor sap just can’t get much right. This is thinking too much of ourselves and is not really sharing the burden. Bearing a burden means sharing the stress. We take some of the hurt and pain on ourselves so others can begin to get their heads above water. We distribute the suffering so hope can happen. And as we walk with people in their pain, we find ourselves on the road forward. This entry was posted in Ordinary Days and tagged Community, Galatians, Hope, Lament, Relationships, Suffering. Bookmark the permalink.